﻿﻿ SAS Management Inc.Project Management Institute - Agile Certified Practitioner (PMI-ACP)® - SAS Management Inc. The Project Management Institute – Agile Certified Practitioner (PMI-ACP)® recognizes your knowledge of Agile principles, tools and techniques, to achieve self-organizing, cross-functional teams. A demand in the flexible Agile process management gradually increasing nowadays. 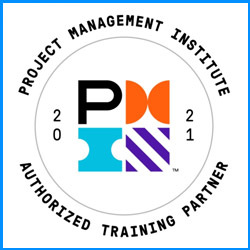 The Project Management Institute - Agile Certified Practitioner (PMI-ACP)® is intended for project management professional recognizes one’s knowledge of agile principles and methodology, as well as skills with agile techniques. It is essential for companies or organizations who are currently running or are planning to shift to agile practices. The PMI-ACP® carries a higher level of professional credibility as it requires a combination of Agile training, experience working on agile projects, and examination on agile principles, practices, tools, and techniques. The PMI-ACP® is divided into 7 domains, with different numbers of tasks for each domain. The certification exam consists of a percentage each of the domain, to test one’s mastery and hands-on experience and siill. Engage current and future interested parties by building a trusting environment that aligns their needs and expectations and balances their requests with an understanding of the cost/effort involved. Promote participation and collaboration throughout the project life cycle and provide the tools for effective and informed decision making. Produce and maintain an evolving plan, from ini tiation to closure, based on goals, values, risks, constraints, stakeholder feedback, and review findings. An incremental approach of managing the design and build activities of engineering, information technology and other business areas aiming to provide new product or service development in a highly flexible and interactive manner. Download the syllabus to find out more about the content of the PMI-ACP certification. To inquire online about our award-winning training, please complete the form and a SAS Management representative will contact you.